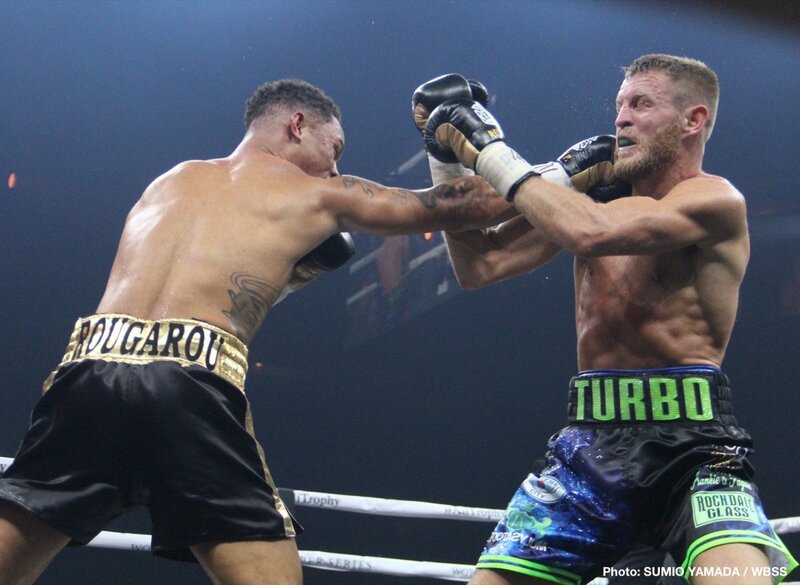 Regis Prograis defeated Terry Flanagan and Ivan Baranchyk stopped Anthony Yiigit in their respective fights in the World Boxing Super Series light welterweight tournament on Saturday night at the Lakefront Arena in New Orleans, Louisiana. 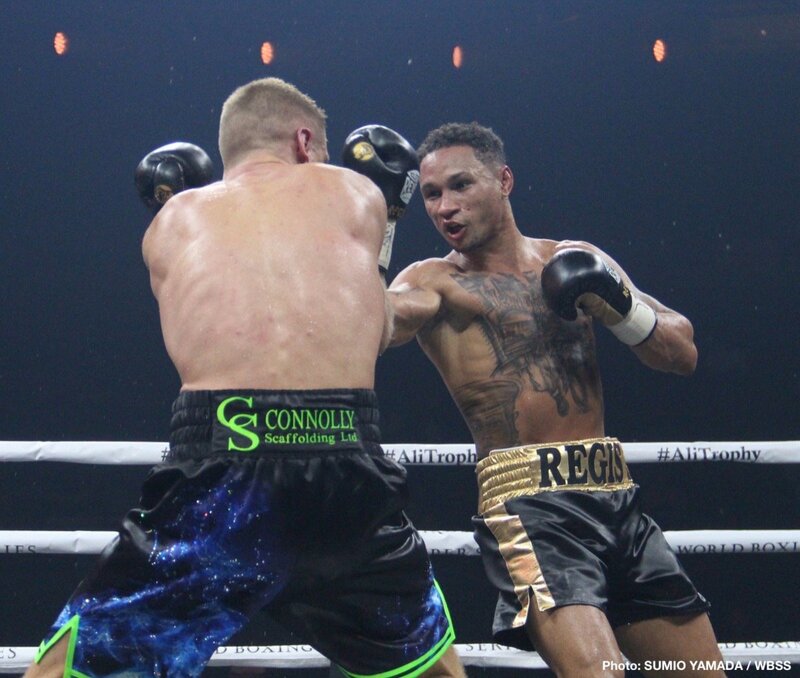 World Boxing Council light welterweight champion Prograis (23-0,19 KOs) beat former WBO 135 pound belt holder Flanagan (33-2, 13 KOs) by an uninspired 12 round unanimous decision in their quarterfinal fight in the main event. Flanagan looked badly afraid of Prograis the entire fight, and only put in a token effort to try and win the fight. The judges scored it 119-108, 118-109, 117-110, all for Prograis. Prograis knocked Flanagan down in the 8th round with a left to the head. It was the perfect shot. The puzzling thing is why Prograis didn’t try and finish Flanagan. Prograis only threw single shots after that, and he was posing and admiring his work rather than just storming forward to finish off. Flanagan fought better after being knocked out, but only because Prograis wasn’t pushing the pace to try and finish him. 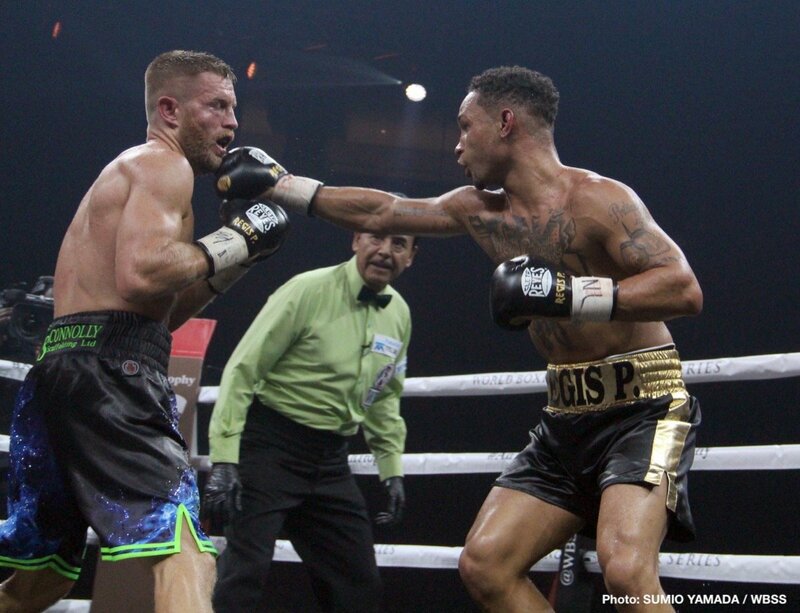 In the 12th, Prograis attacked Flanagan hard with big power shots that had his left eye bleeding. Flanagan looked on the verge of being stopped in the round. Had Prograis fought like that in the earlier rounds, the fight likely would have been over by the 3rd round. 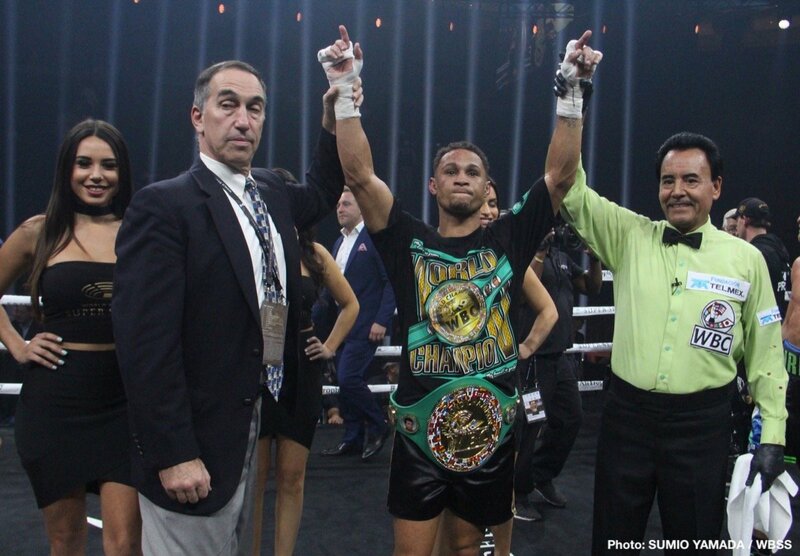 All in all, it was not a great performance by the 29-year-old Prograis. He’s going to need to fight a lot better in the remainder of the World Boxing Super Series 140 lb tournament if he wants to win it, because he’s not going to beat newly crowned IBF 140 lb champion Ivan Baranchyk or Josh Taylor fighting like that. This was the second consecutive poor performance from Prograis. In the co-feature bout, Ivan Baranchyk (19-0, 12 KOs) roughed up Yigit (21-1-1, 7 KOs) early and often in fouling frequently en route to stopping him after seven rounds in their clash for the vacant IBF light welterweight title. 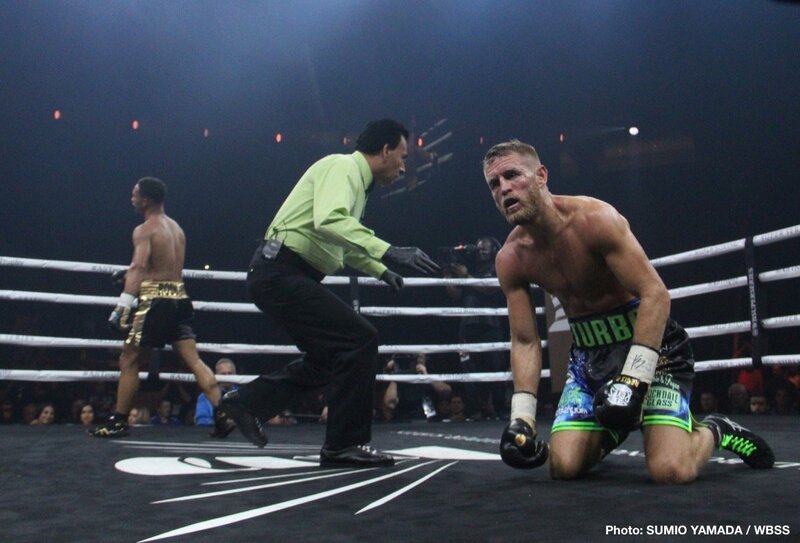 The fight was stopped because of Yigit’s left eye having swollen shut. The ringside doctor called a halt to the bout after the 7th. By that point in the fight, Yigit’s left eye had swollen completely closed and it was bulging outwards and bruised. Baranchyk was docked a point in the 7th for holding Yigit’s head down. Baranchyk had been using this tactic the entire fight, but the referee chose to wait until the 7th before addressing it. The point deduction did nothing to change Baranchyk’s before inside the ring, as he continued to pull down on Yigit’s head, and hit him with his left forearm. Baranchyk ended the round with a shocking rabbit punch in full view of the referee, who did nothing about it. Baranchyk’s power and high work rate was top notch. The way he fought tonight, he’d give Prograis problems. However, the fouling from Baranchyk might be a problem that would hold him back from beating Prograis. Baranchyk can’t continue to foul the way he was doing tonight if he wants to beat the likes of Josh Taylor and Prograis. Baranchyk has to learn to control his fouling and learn how to keep it clean. Next boxing news: Does Kubrat Pulev Give Anthony Joshua Something To Worry About?